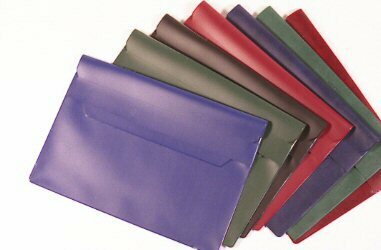 A5 Document Wallets with flap. Many sizes and variations of this useful product can be made to order and personalised if required. Product now manufactured by Plasart Ltd., who have a page for this item on their website.